The Curatrix of the House of Romanov is not amused…or entertained. 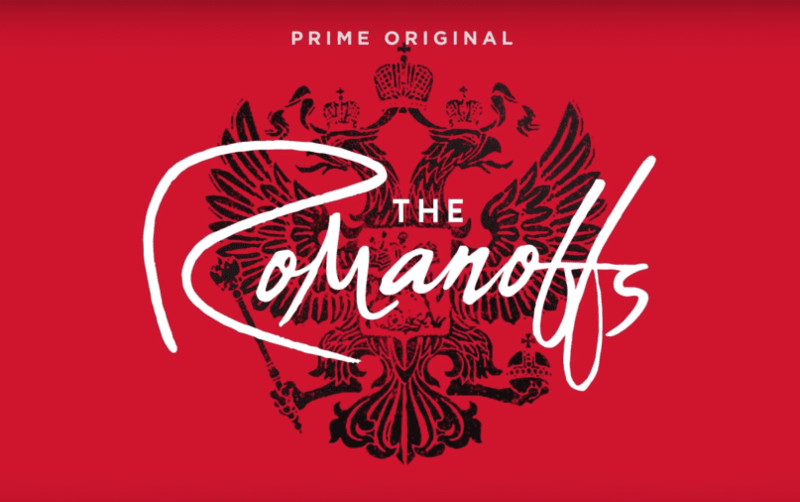 Matthew Weiner’s “The Romanoffs,” the Amazon series tracing eight fictional descendants of the Imperial Family of Russia, continues its slow release of episodes. “The Romanoffs” continues with Episode Three, “The House of Special Purpose,” starring “Mad Men’s” Christina Hendricks as Olivia, an actress brought in to play Empress Alexandra — wife of Emperor Nicholas II — in a six-part television miniseries about the last imperial family. It is directed by aging French actress turned director, Jacqueline (Isabelle Huppert). This very meta “television show within a television show” is being filmed at a remote and sinister gothic Austrian country house with the cast and crew accommodated at a similarly spooky old-fashioned hotel nearby. Jacqueline’s directing methods are decidedly odd. She allows the affable but clueless actor playing Nicholas II to sing “Suspicious Minds” in one pivotal scene with Olivia, and turns a blind eye when Sam, the more accomplished Royal Shakespeare Company thespian playing Rasputin, sexually assaults her during another scene. But the notion that Jacqueline is merely a director trying to frighten or gaslight her leading lady into a more genuine performance is soon eclipsed by other, more confusing suggestions. Olivia is driven by a vampire-like driver through the dark Austrian countryside, a phantom Grand Duchess Anastasia appears at night in her bedroom, cell phone service is patchy, and frequent power outages dog the cast and crew throughout the entire episode. Jacqueline, who is this week’s alleged Romanoff descendant, has a passion for her material bordering on the obsessive, as we learn in an early scene when a nighttime wind blows her voluminous collection of Romanov photographs around her hotel room while the lights dim and flicker. Jacqueline also seems to have a direct line to the spirit of Dowager Empress Maria Fyodorovna, Nicholas II’s mother. Dowager Empress Maria Fyodorovna, pictured far left, holding Grand Duchess Olga Nicholaevna, with (from left to right): Grand Duchess Xenia holding Princess Irina, Grand Duchess Olga Alexandrovna, Nicholas II, and Empress Alexandra. Photo Source: Wikimedia Commons. The vivacious and popular Dowager Empress famously did not get on with her more reserved German daughter-in-law Alexandra and disapproved of Alexandra’s obsession with Rasputin. 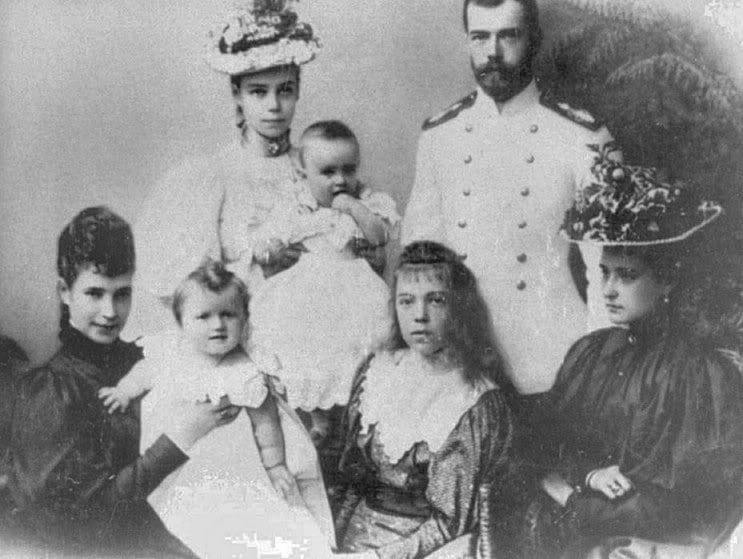 Maria Fyodorovna blamed Alexandra’s influence on Nicholas II for the mismanagement of his government that led to the Russian revolution and the subsequent murder of the imperial family in Yekaterinburg in 1918. Is this why Jacqueline was so harsh with Olivia? Jacqueline’s bizarre conversations with invisible interlocutors (possibly Maria or Alexandra) become all too real when she goes into a trance and actually becomes Maria Fyodorovna at a dinner with the cast and the series’ investor. The investor’s Russian girlfriend is conveniently on hand to translate Jacqueline’s fluent Russian. Later Jacqueline asserts that she doesn’t speak Russian and also confesses to Olivia that she is not actually a Romanov descendant, which leaves the viewers more confused than ever. Perhaps Matthew Weiner is exploring the innate ability of his medium to create alternative story lines. Olivia and Sam fall into bed together, allowing us to ruminate about the (unlikely) possibility of a sexual relationship between the Empress and Rasputin. Romanov devotees largely see the “The Romanoffs” as a lost opportunity for a sympathetic cinematic treatment of the imperial family; something along the lines of the very genre Jacqueline disparagingly describes as: “…exactly what television needs: another period piece with well-dressed mannequins.” 50 million dollars, the fandom calculates, could go a long way to getting us (I’m with the fandom on this one) our own Romanov version of Victoria or Downton Abbey. Game and set to the Grand Duchess, I think, don’t you?